1, hot press technological parameters: temperature: (100~115) C, pressure: (10~12) MPa. 2, before hot pressing, the wood chips, tape and other dirt on each plywood board should be cleaned. The temperature of each hot platen at four angles is uniform and it is up to the required temperature. Then the hot press machine can work. 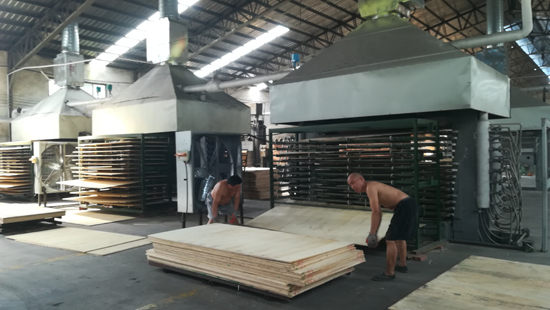 3, the plywood slab is quickly loaded into the hot press, and the position of the plywood slab in each layer should be consistent (up and down, right and left) to ensure the uniform pressure of the plywood and the same thickness. 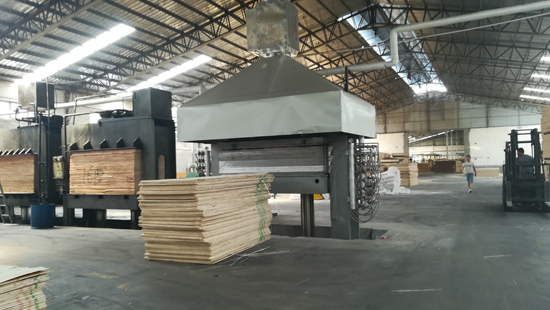 5.When stack the plywood after hot press, please check the thickness of the four corners of the plywood whether meet the requirements at any time; please check the plywood whether has the defects such as the glue delaminating and bubbling, and the defective plywood should be picked up and repaired in time. 6.During the process of hot pressing, once the defective products which exceed the requirements are found , they should be immediately reflected to the responsible department. After finding the solution, we can continue the production without concealing the truth. 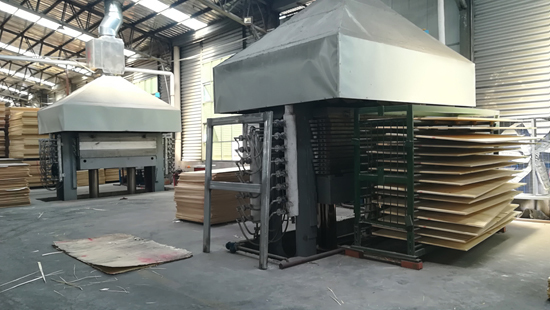 During the process of hot pressing , the operator is not allowed to alter the process parameters without authorization.